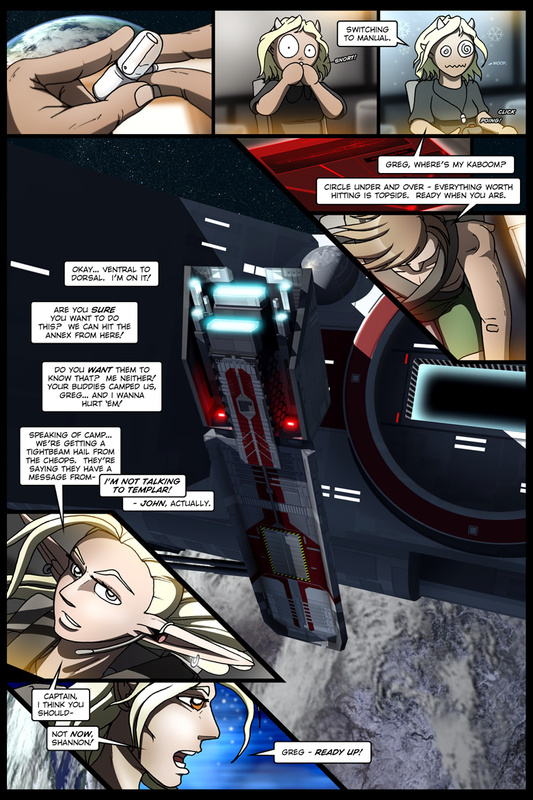 Three new bits – the background of panel one, the radar panel (Four? Five? Depends on how you look at it), and the focal point, obviously. One for accuracy, two because the original was fugly, and three… also for accuracy. The revised dialogue reads a bit better, and I finally ditched the “I’m BUSY” line. While the conversation builds up to it nicely, but I always felt it was too hammy. 114 queries in 0.810 seconds.